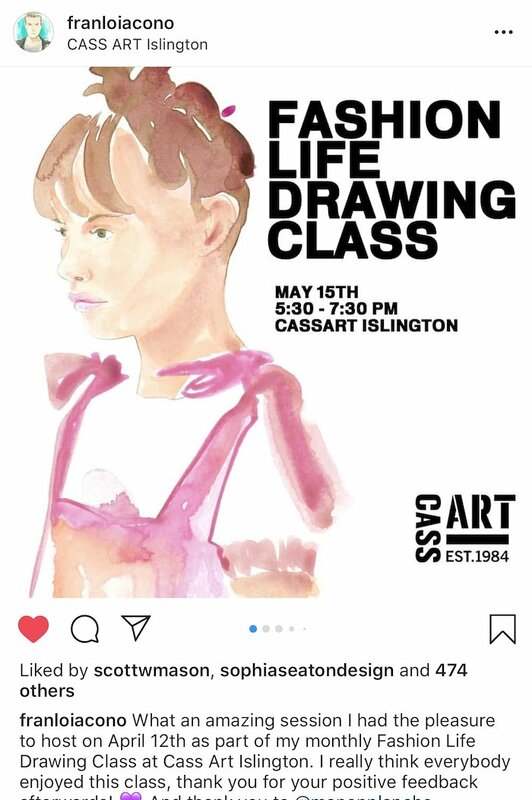 Invited to be a guest designer at Francesco’s life drawing class. 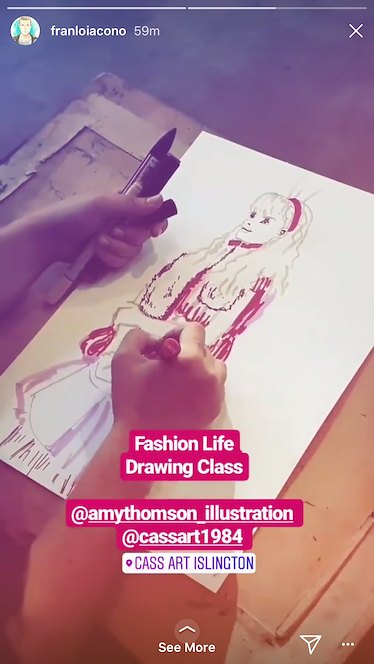 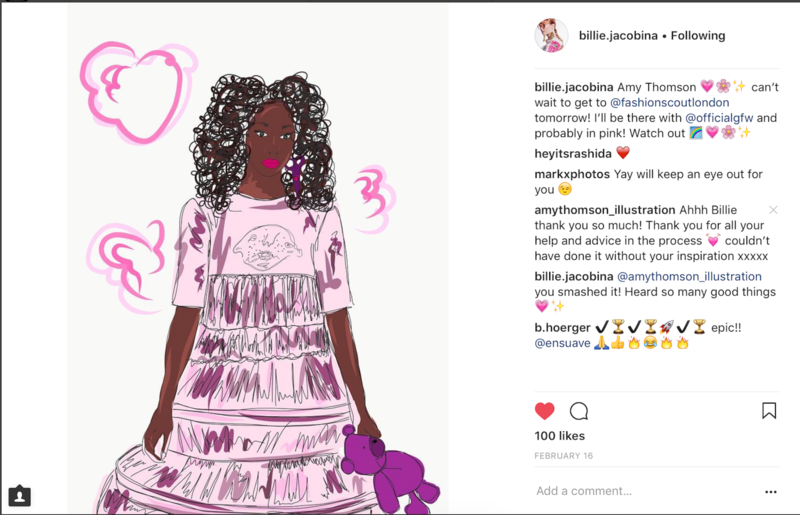 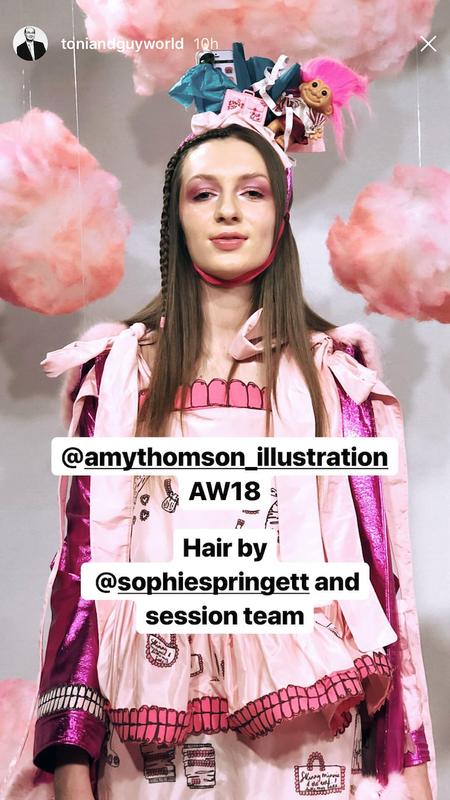 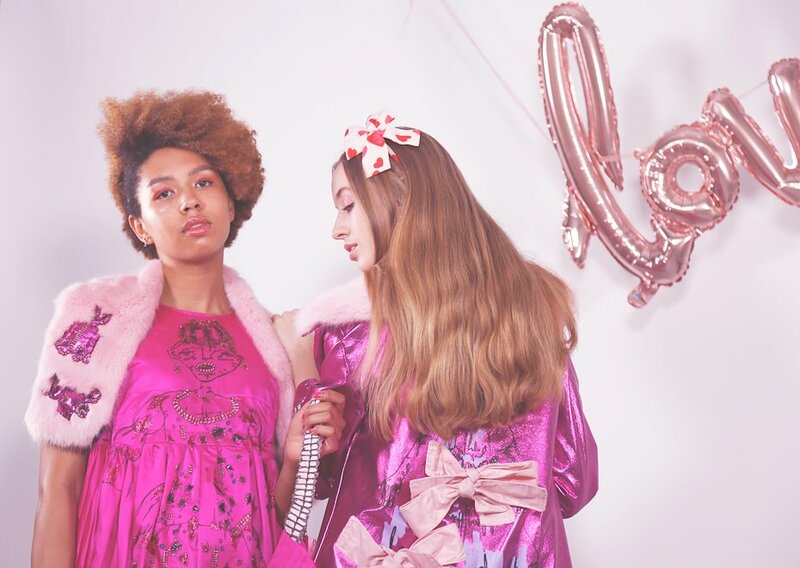 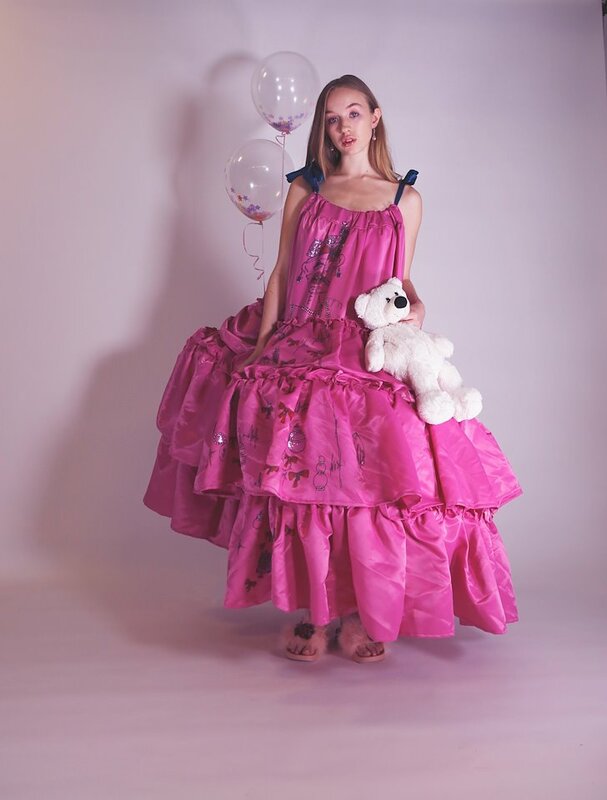 AW18 collection featured as part of the class, answering questions, advice and support. 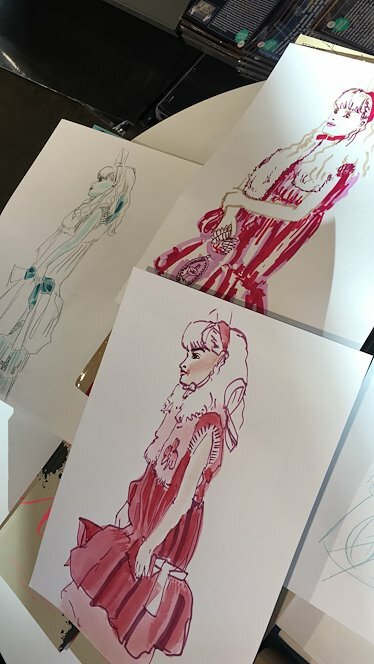 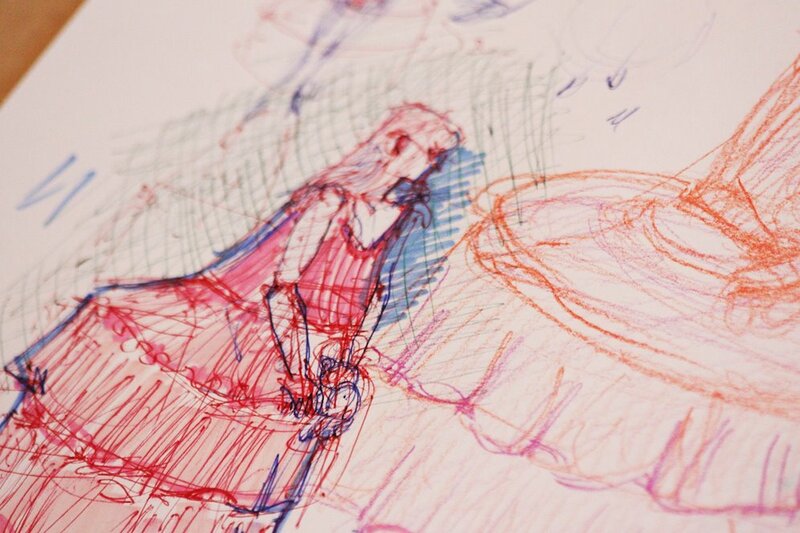 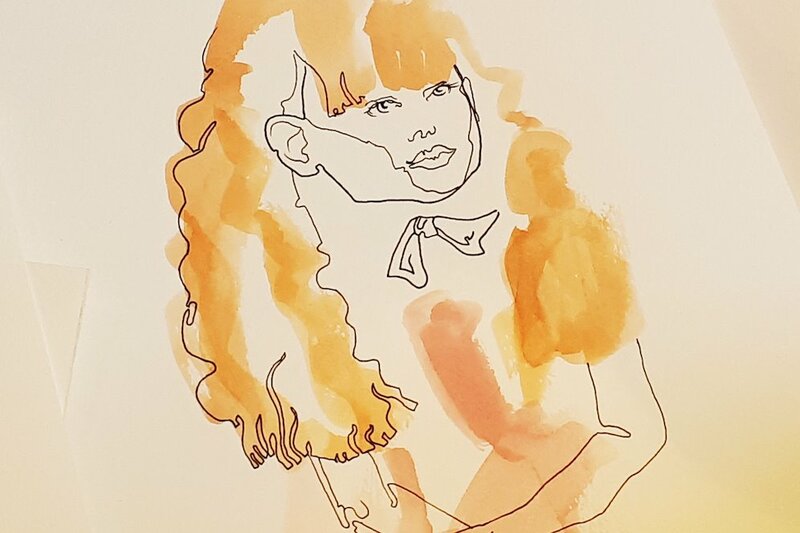 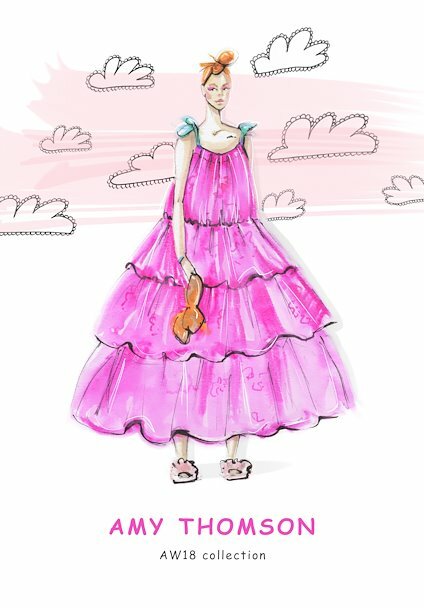 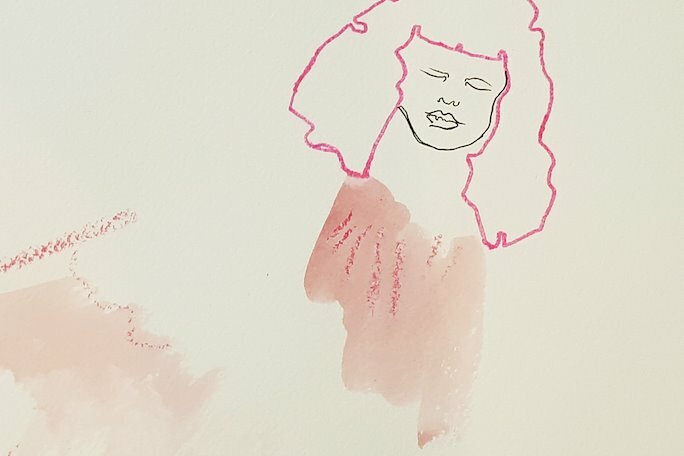 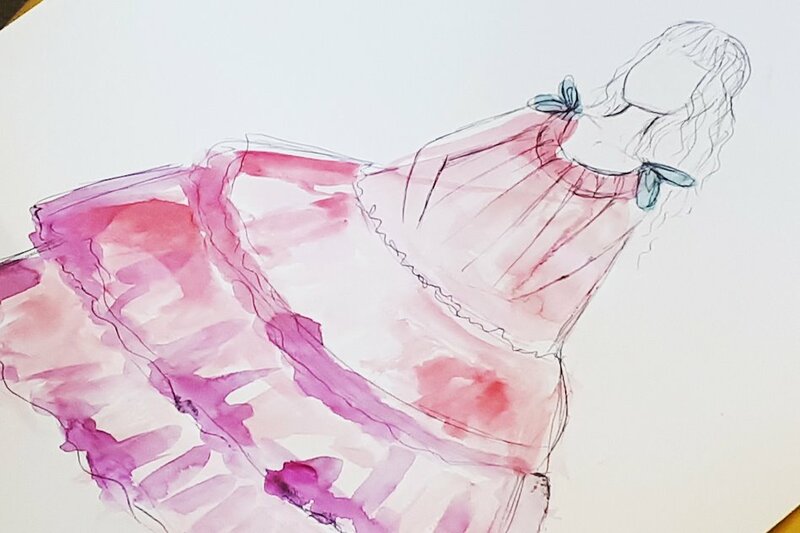 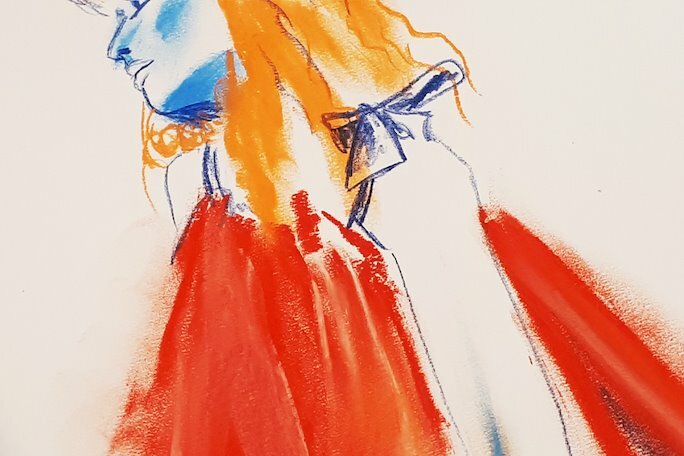 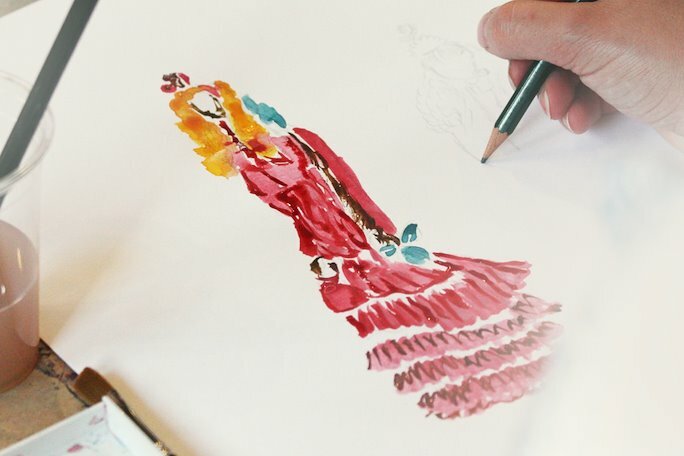 Images, illustrations and posts from Francesco at the event. 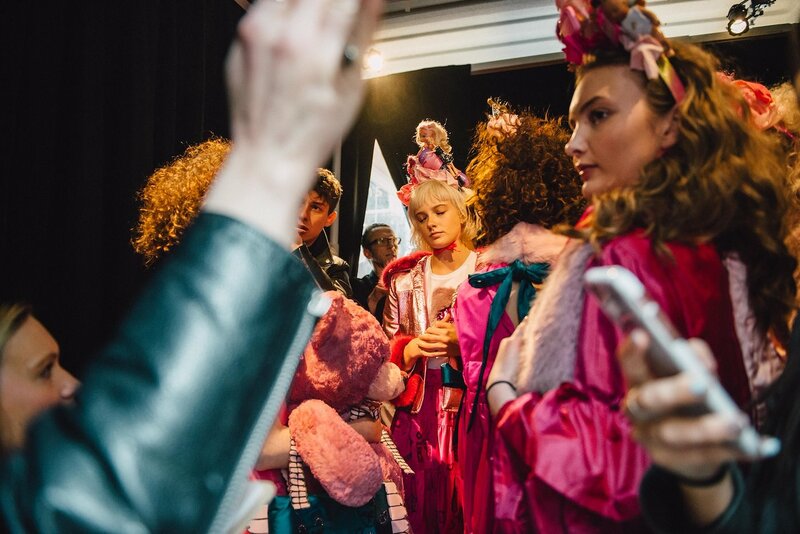 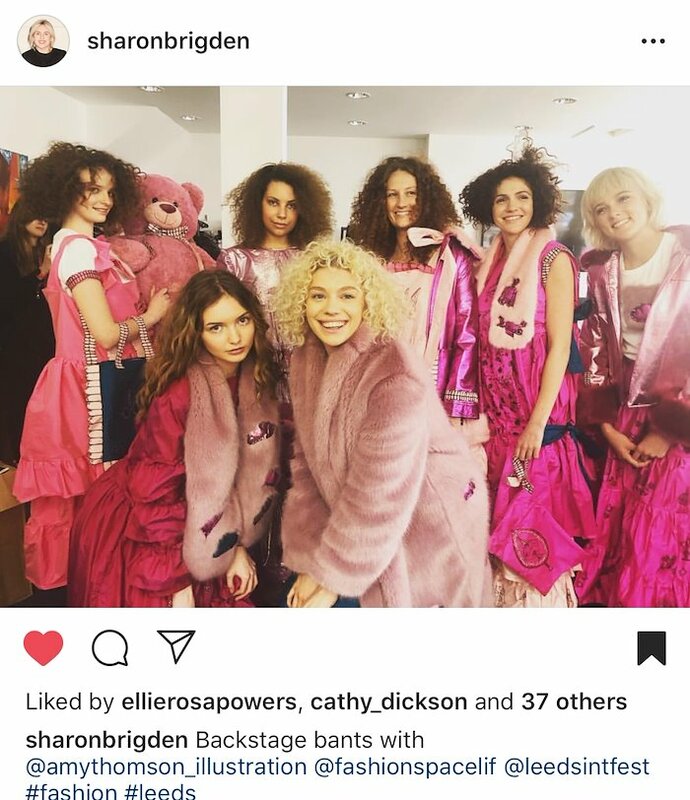 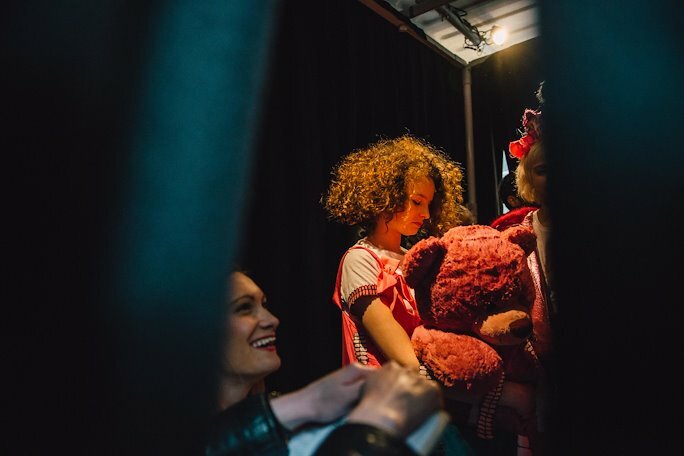 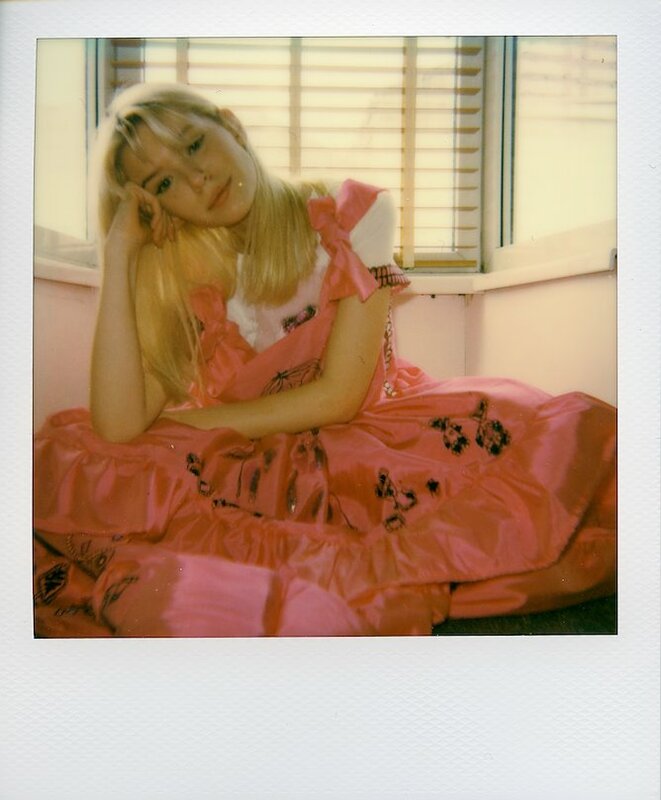 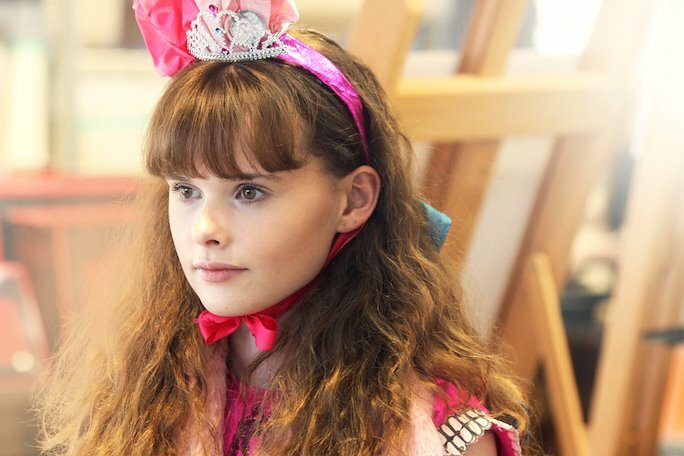 Backstage Shot at Leeds International Festival by Sharon Brigden, Director of Fashion Space Leeds International Festival. 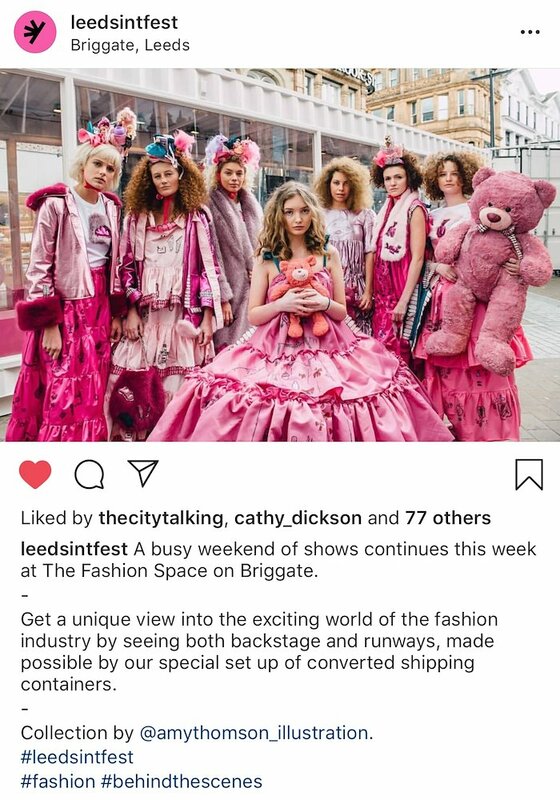 Invited to showcase as an independent designer as part of the Leeds International Festival 2018. 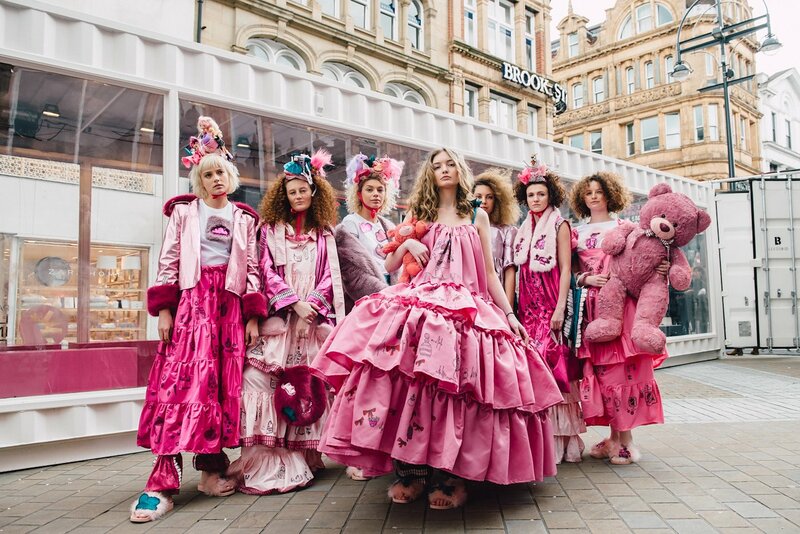 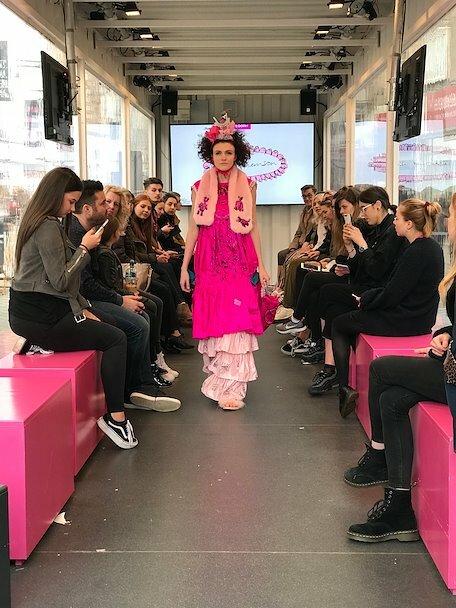 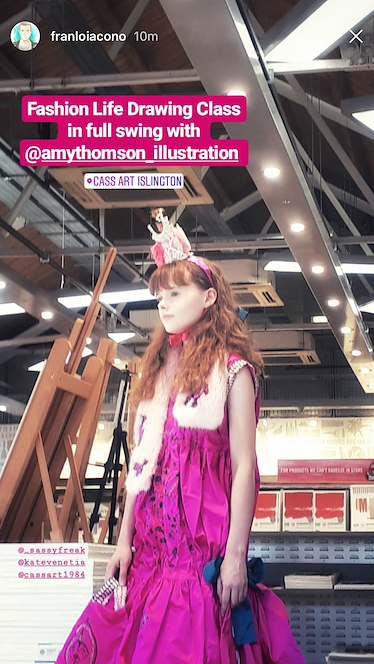 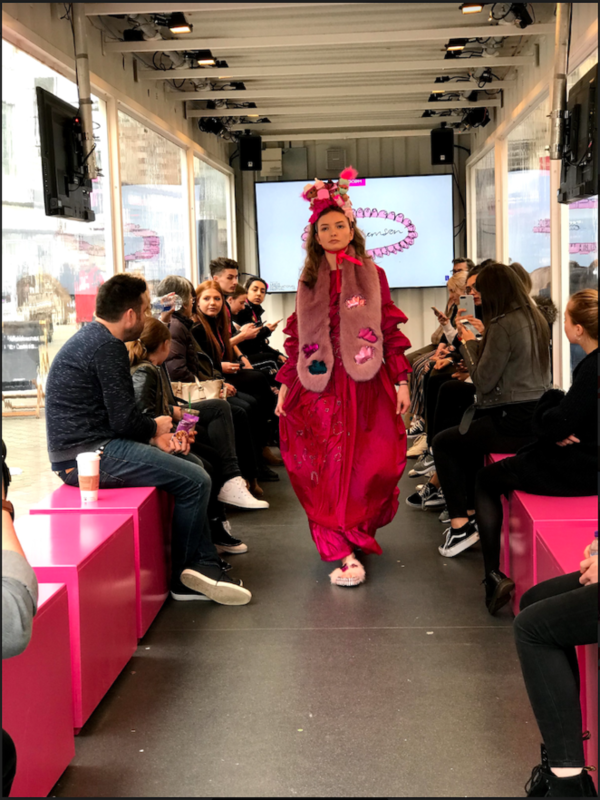 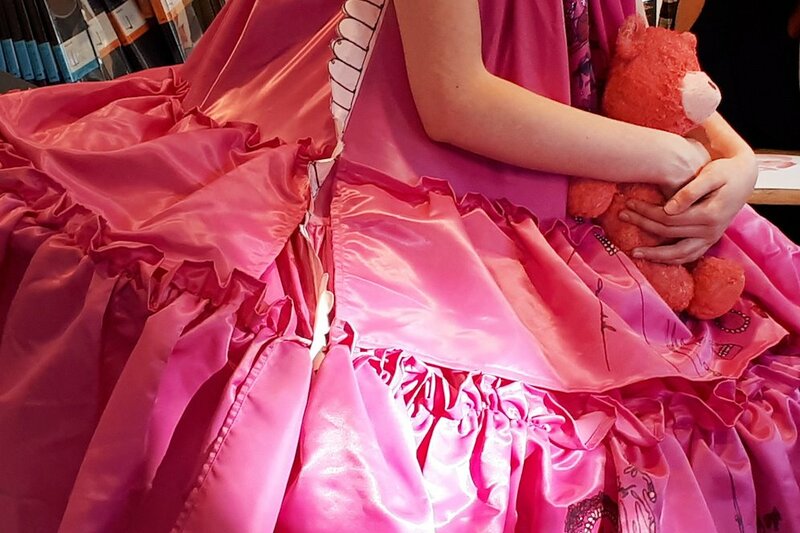 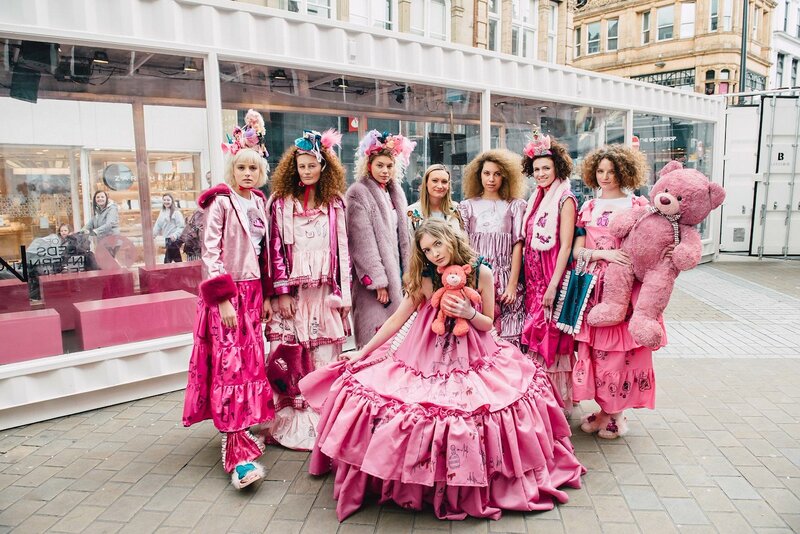 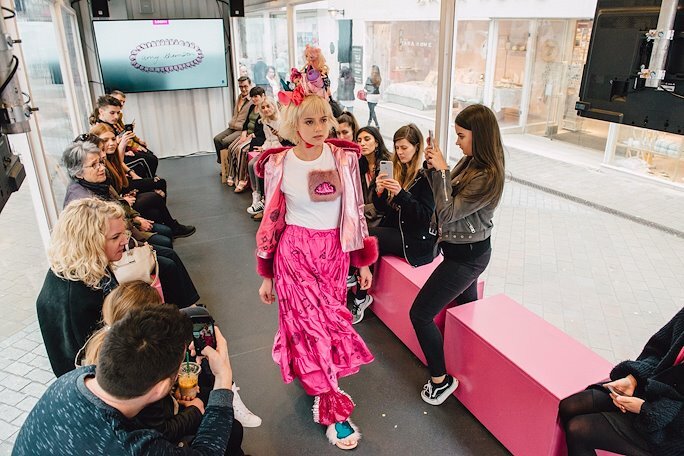 This involved having your own catwalk show in Leeds City Centre showcasing AW18. 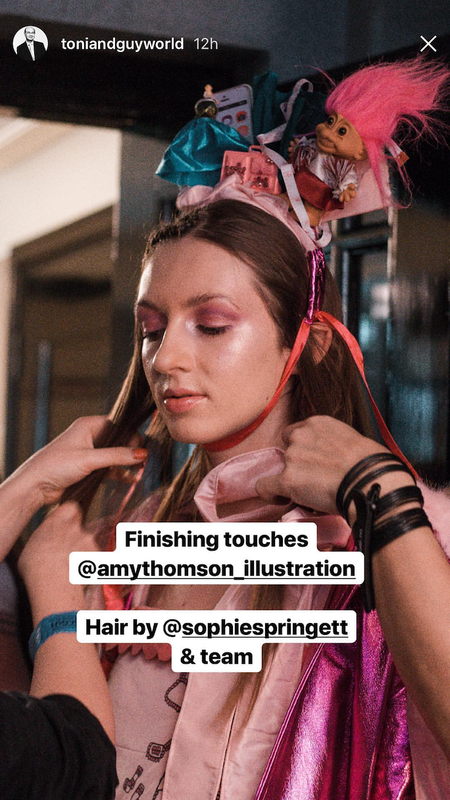 Images by Ben Bentley. 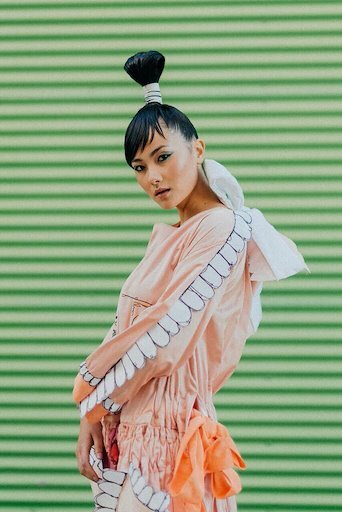 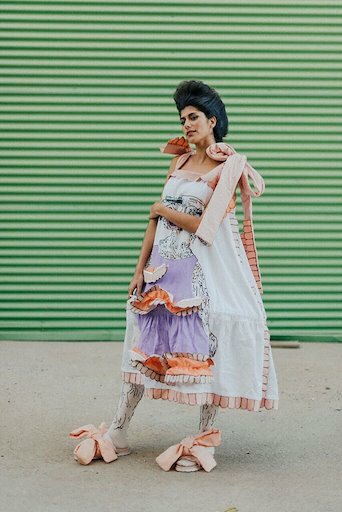 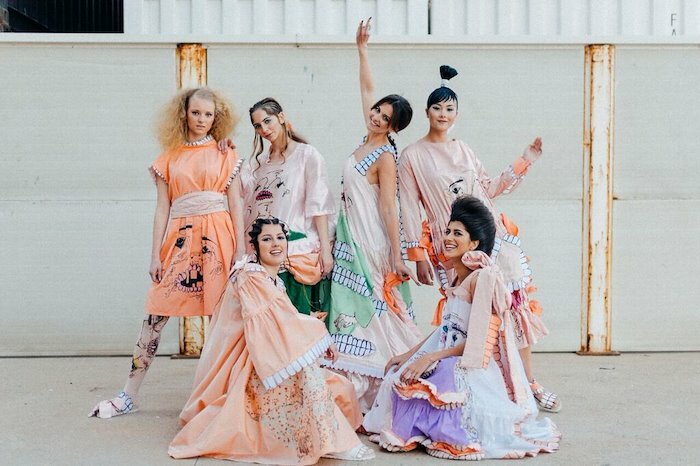 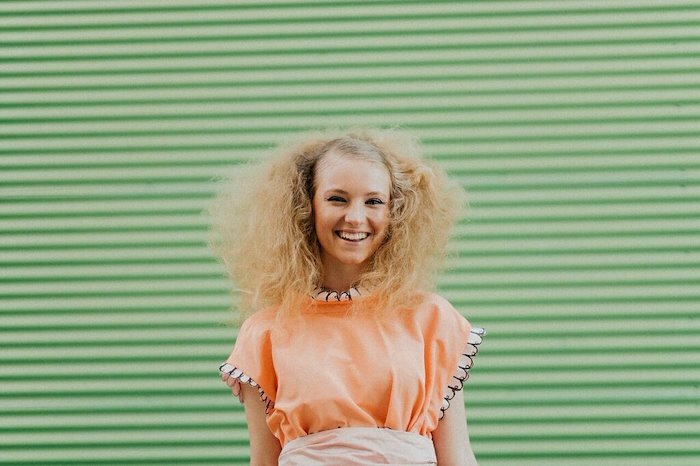 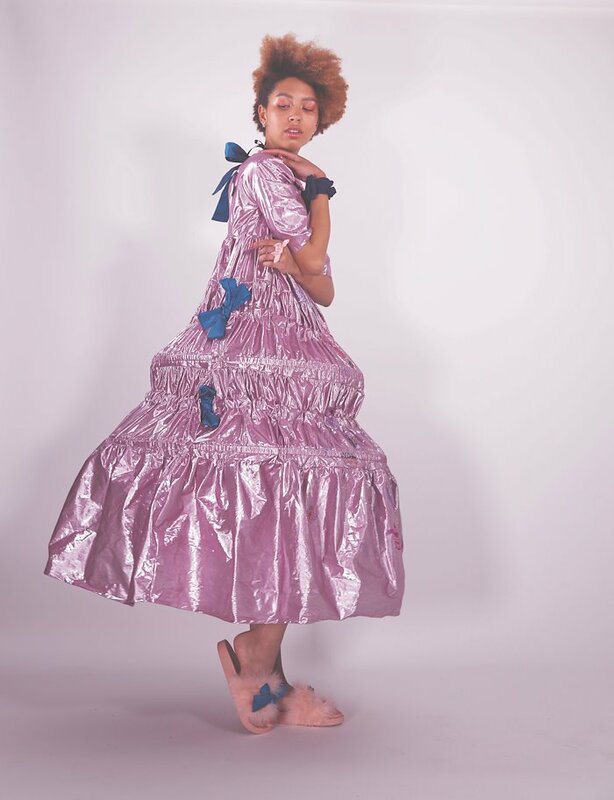 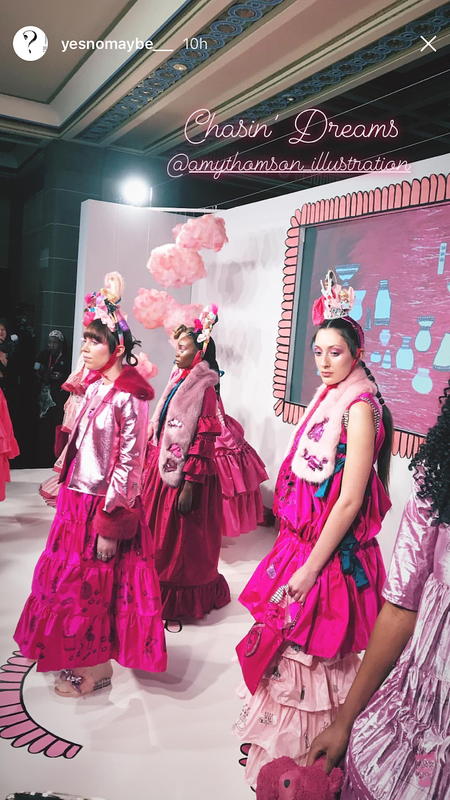 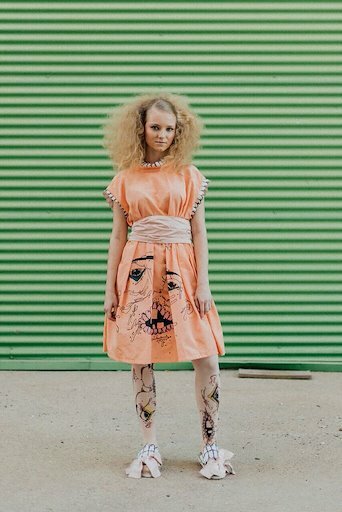 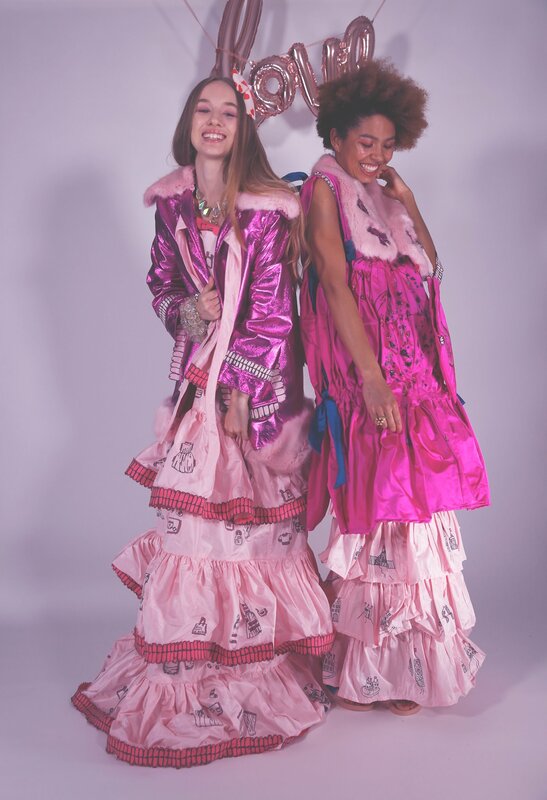 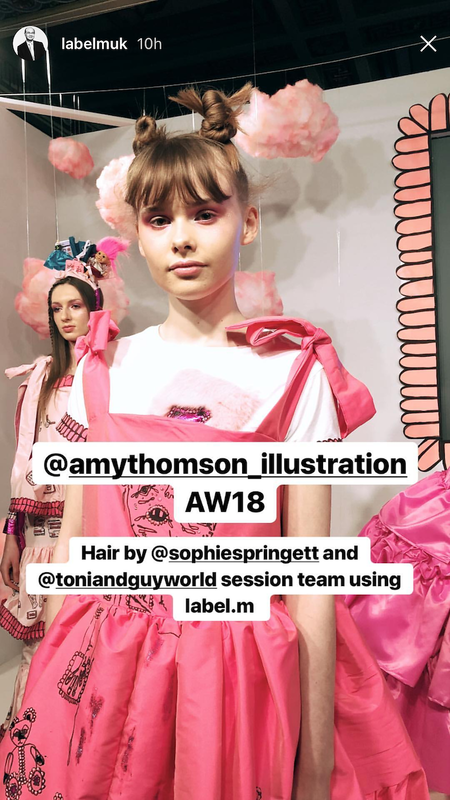 Graduate collection selected to be part of the Toni & Guy Valencia Show looking back at the history of London Fashion Week. 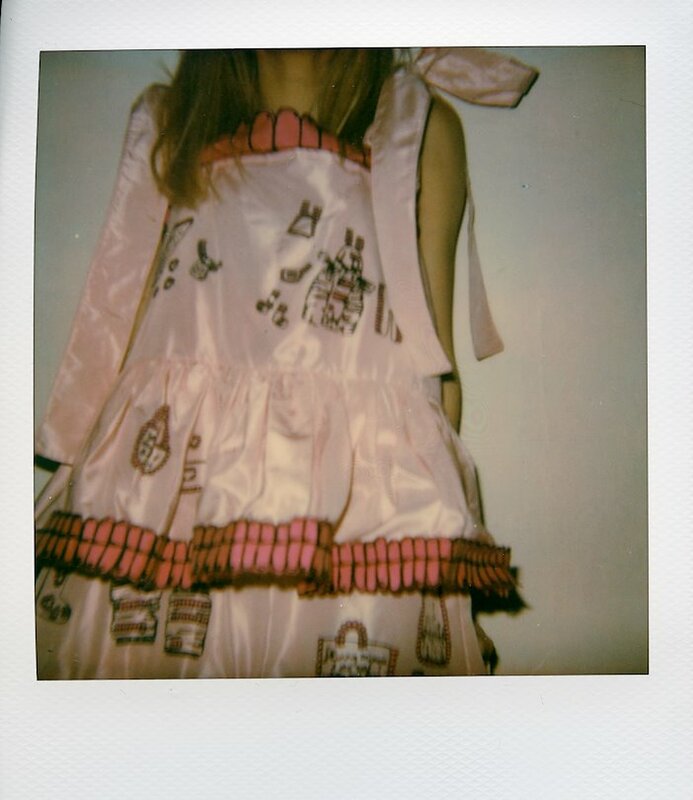 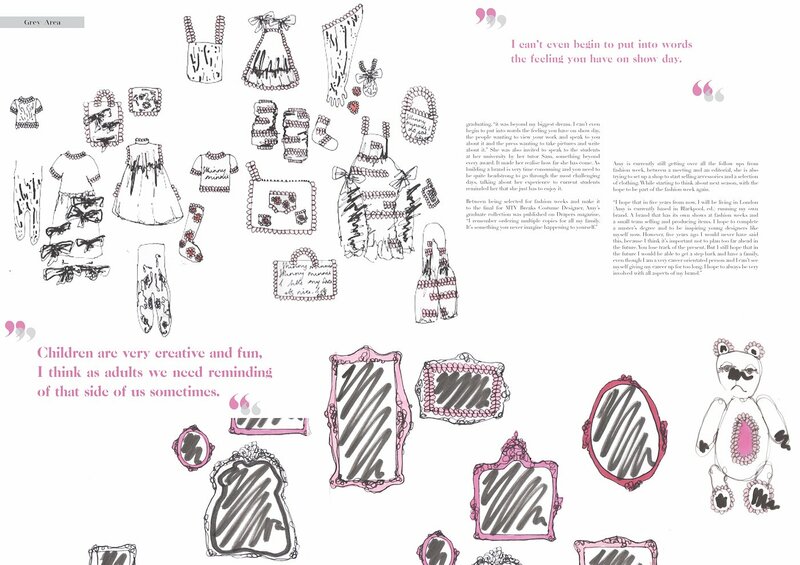 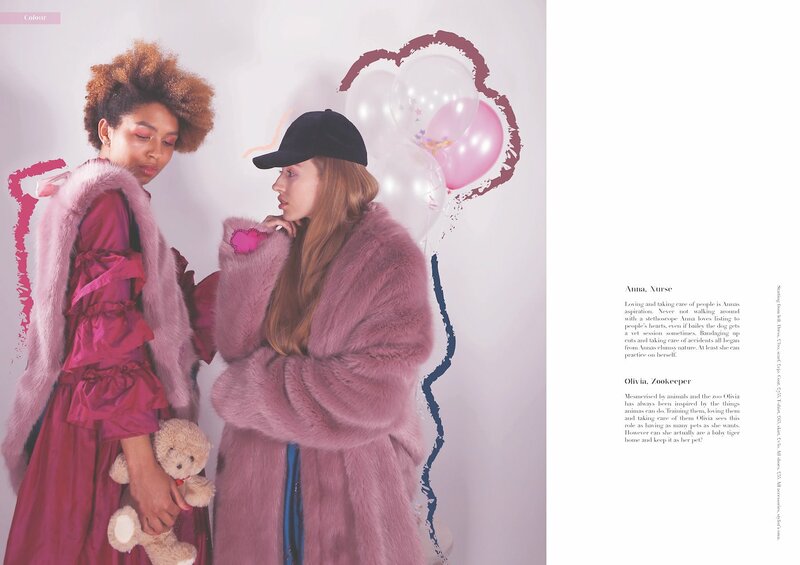 Yes No Maybe Magazine May Edition by Margherita Santus. 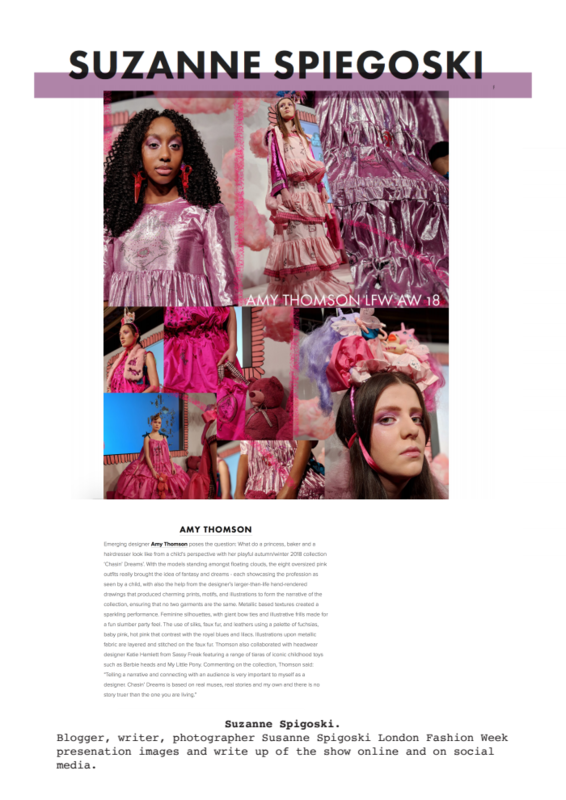 Editorial by Helen Mcgurkin March 2018. 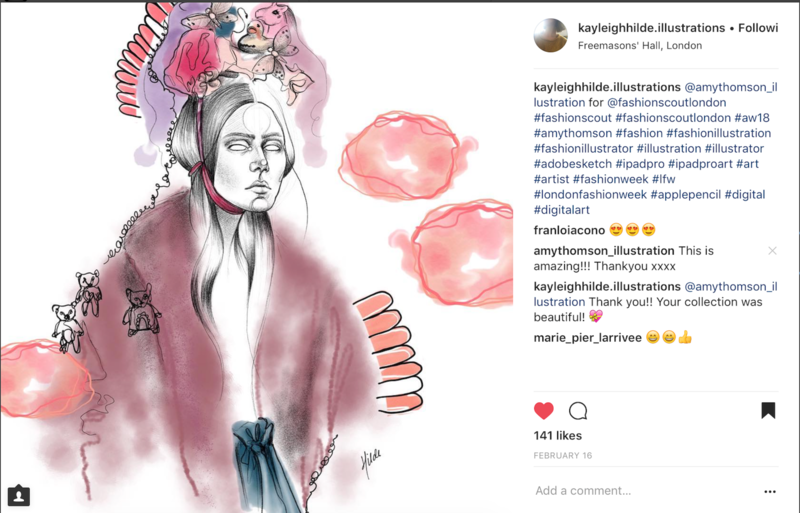 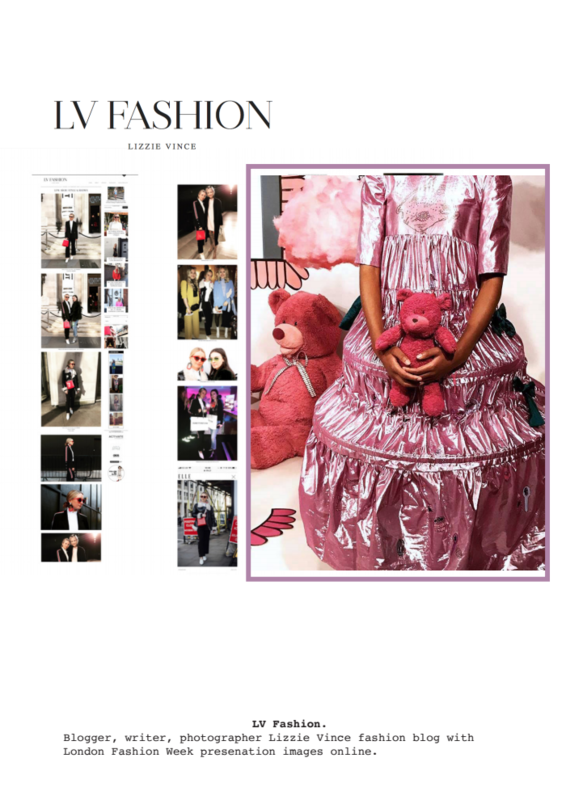 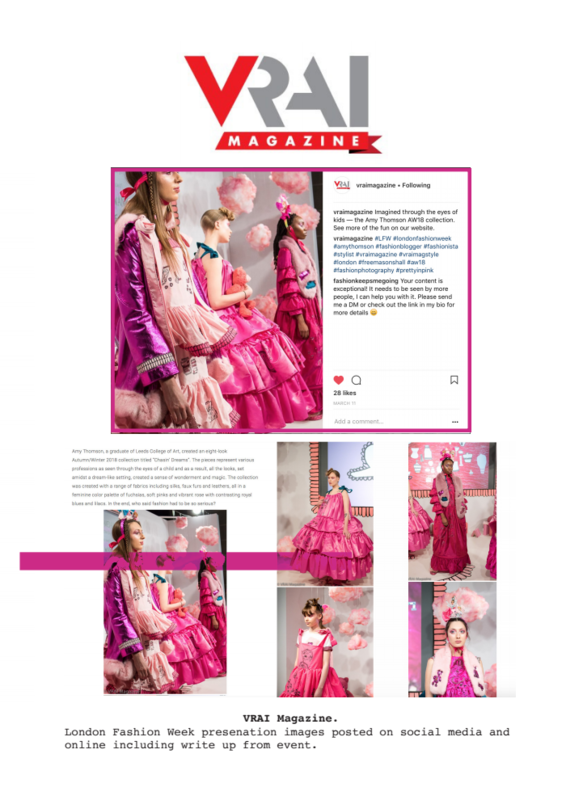 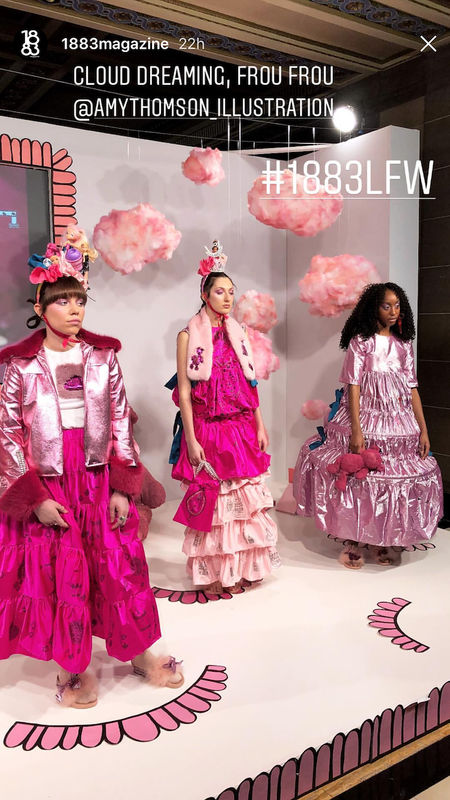 Instagram story coverage during London fashion week – 1883 Magazine, FGUK Magazine, Francesco Lo Lacono , Toni & Guy, The Fashion Conversation, Carl Earlocran. 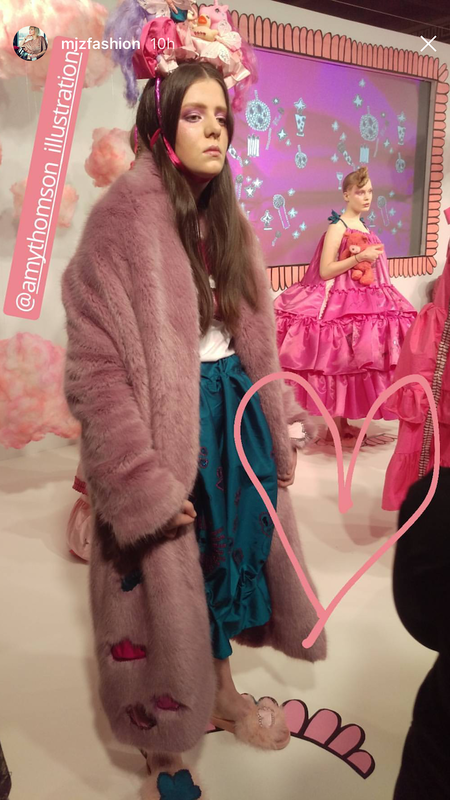 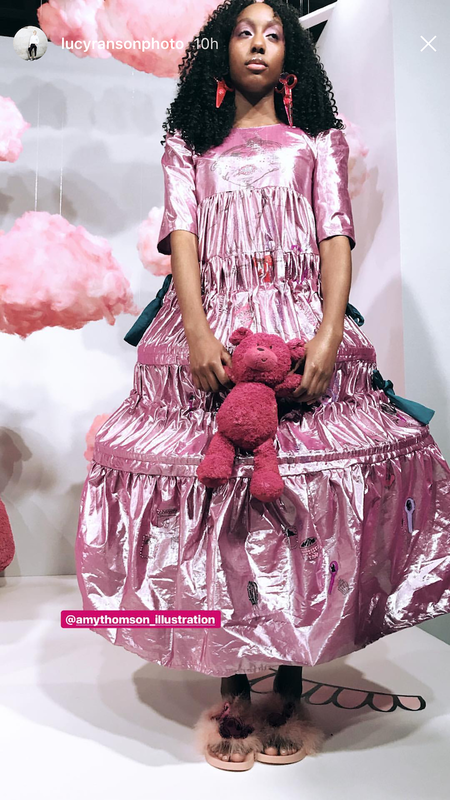 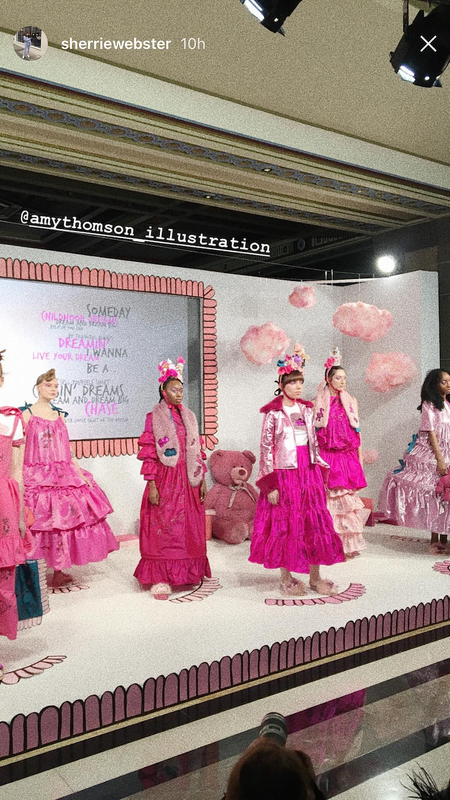 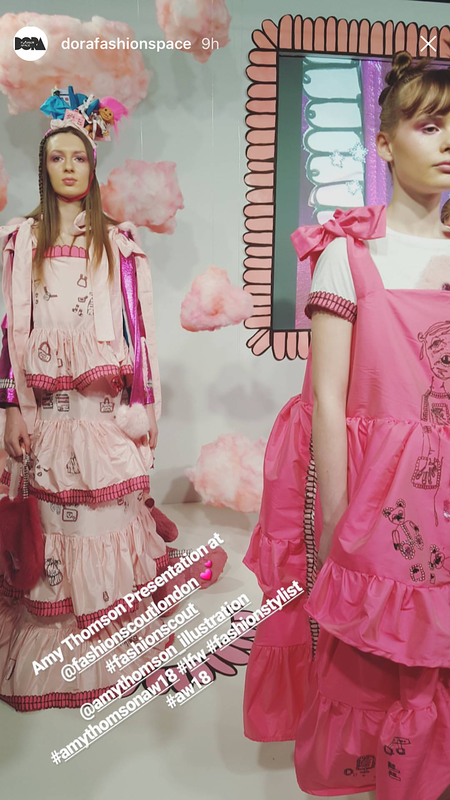 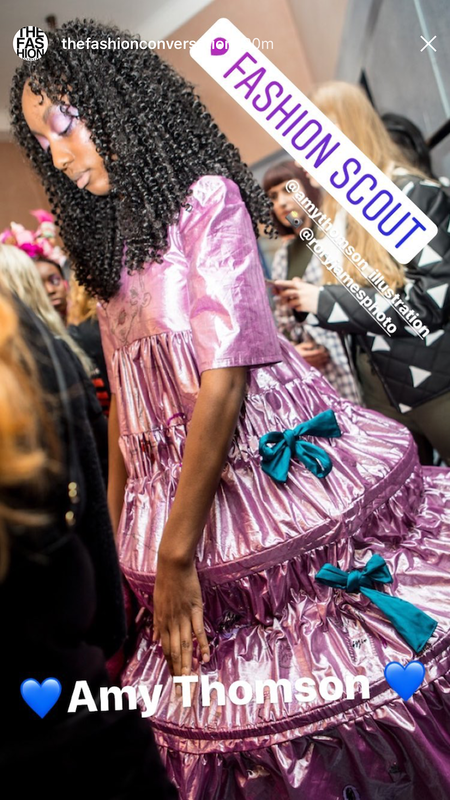 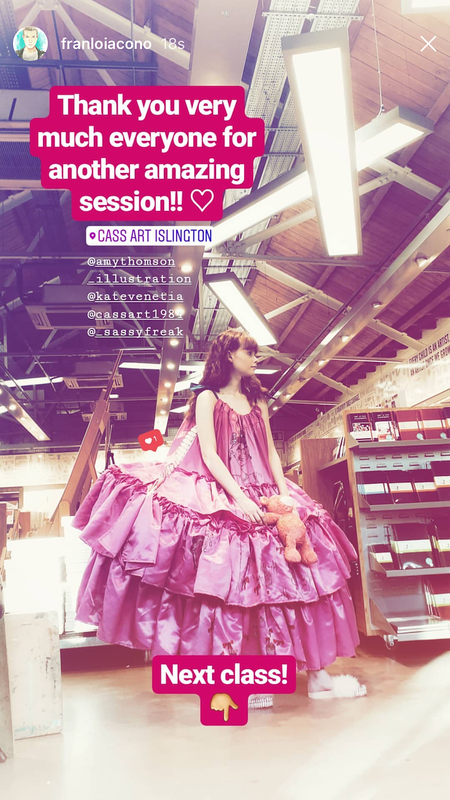 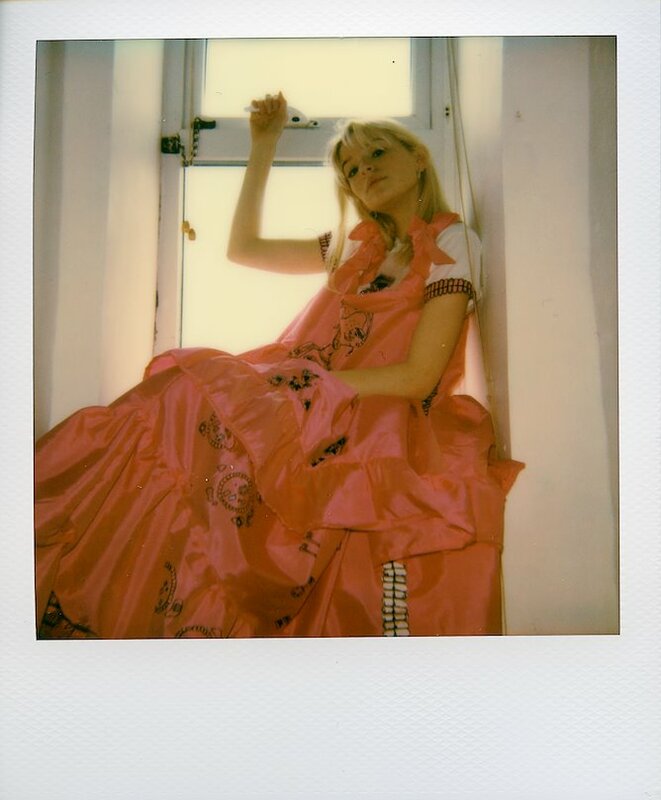 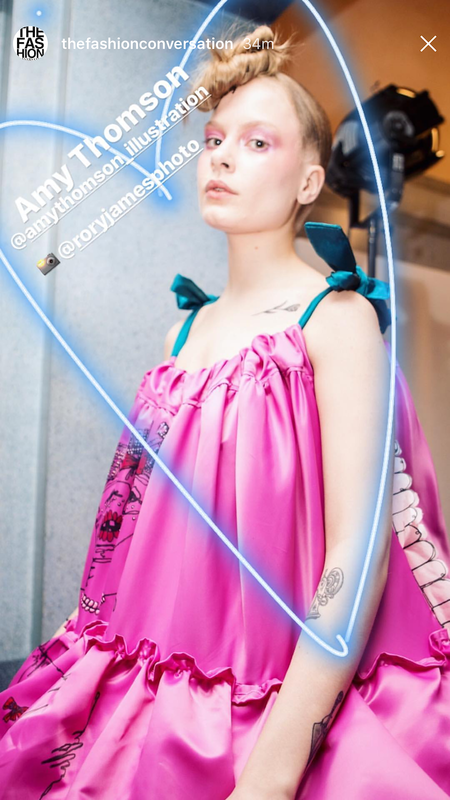 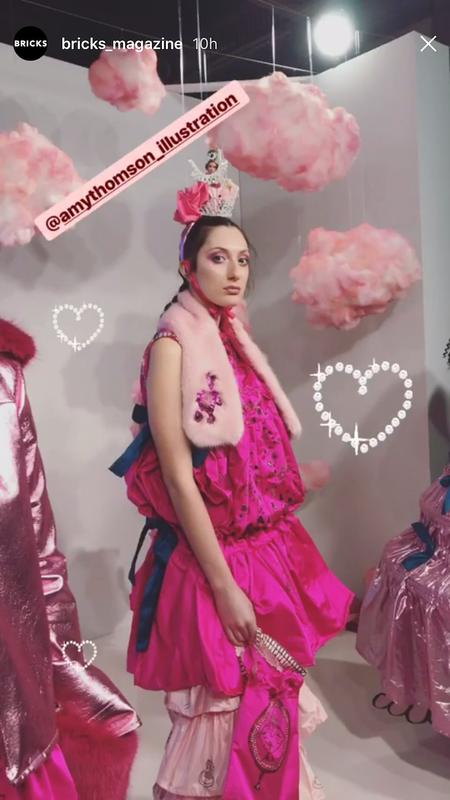 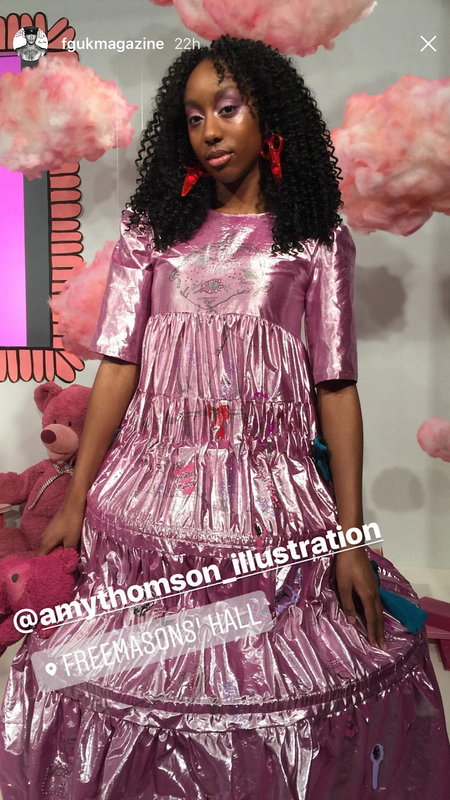 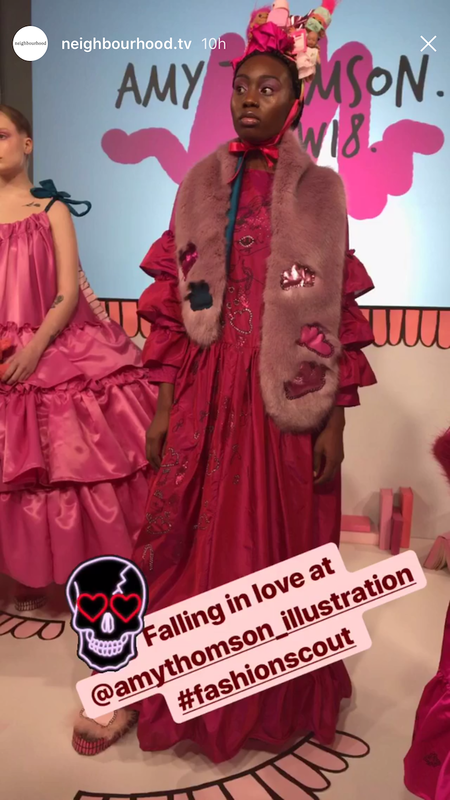 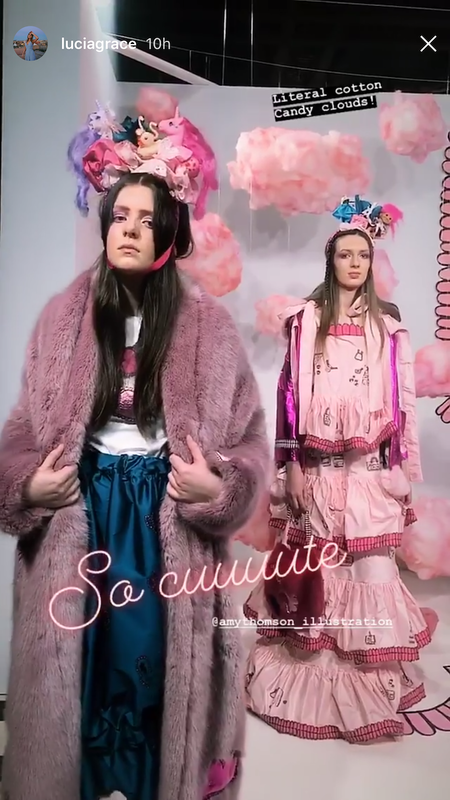 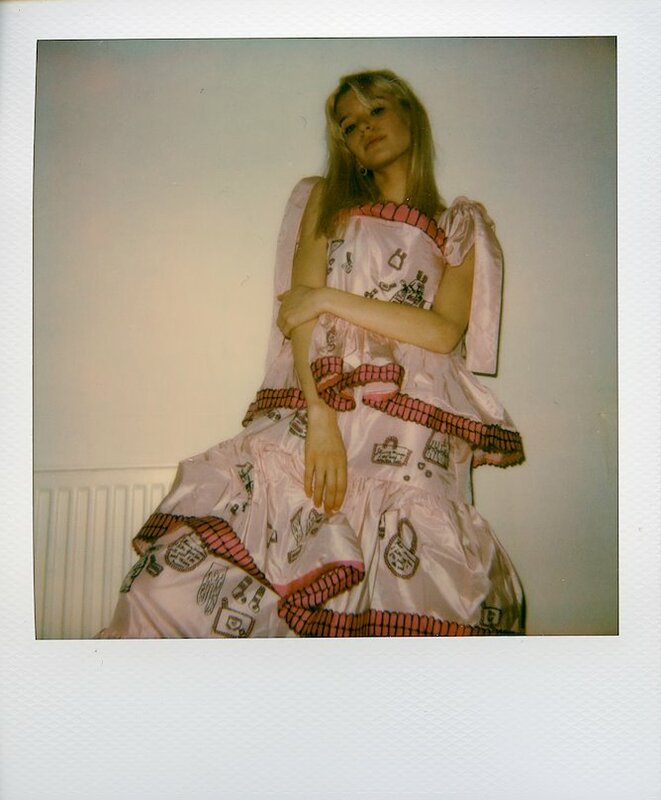 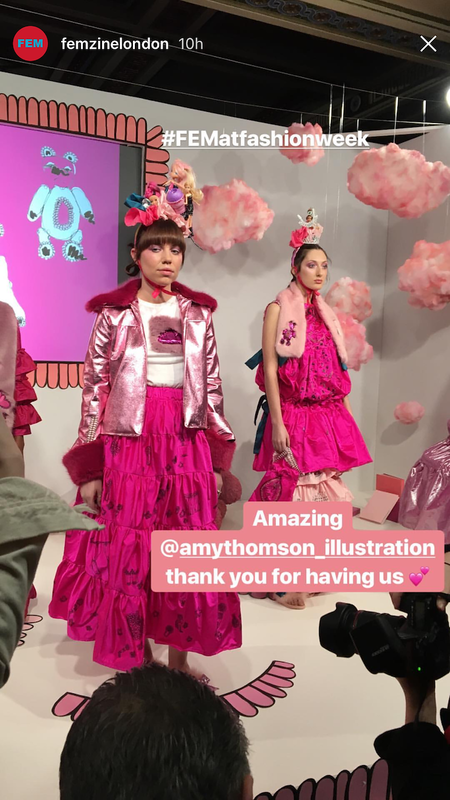 Instagram story coverage during London fashion week including Yes No Maybe Magazine and Fate and Fabled. 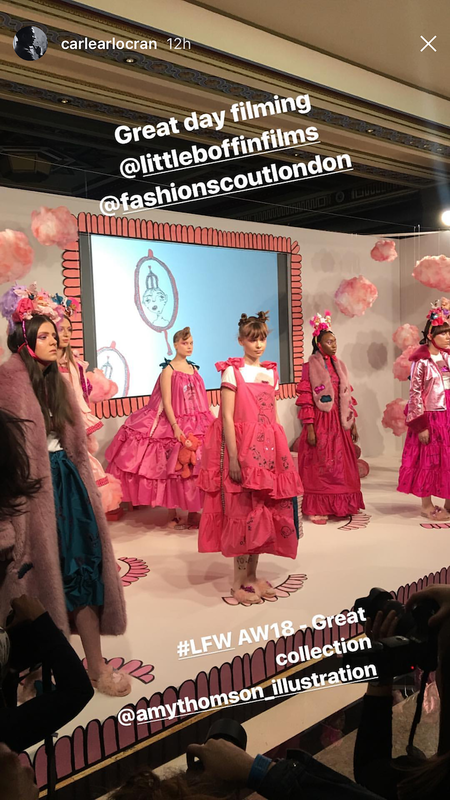 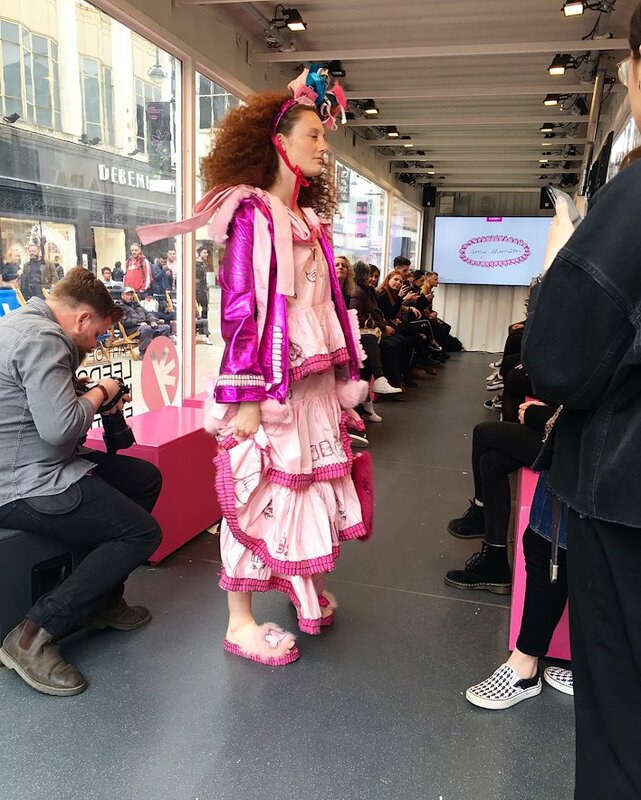 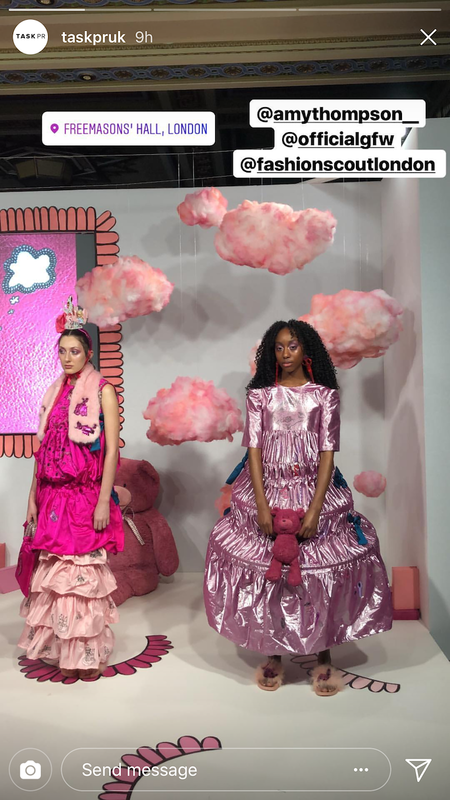 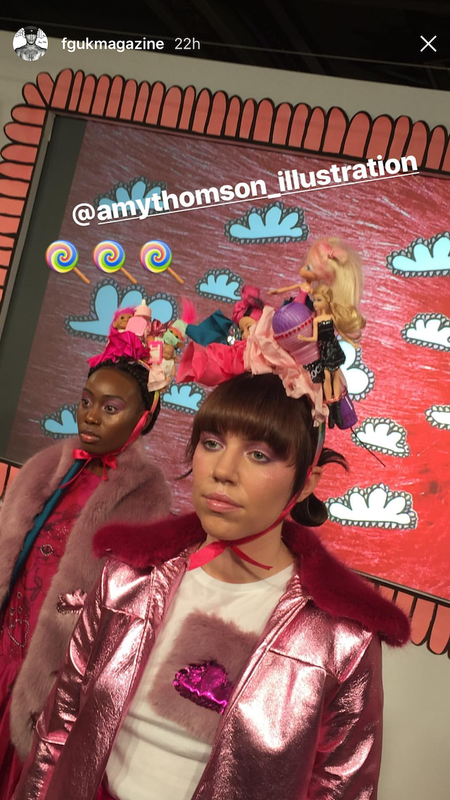 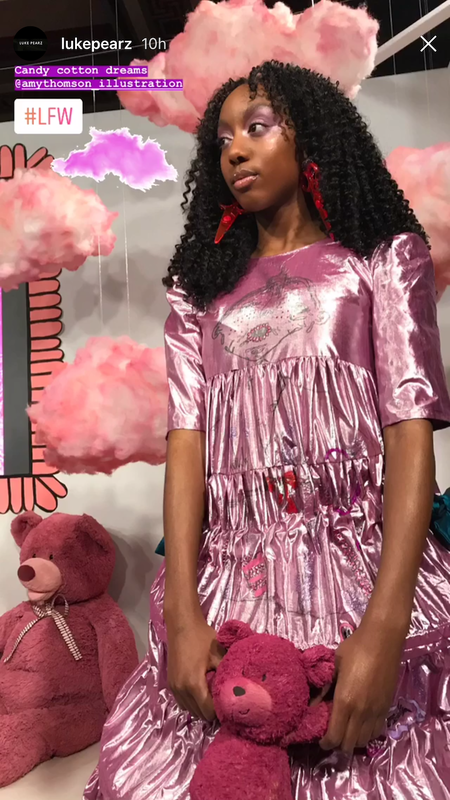 Instagram story coverage during london fashion week – Task PR, Toni & Guy, Dora Fashion Space, Neighbourhood TV, Bricks Magazine, Femzine London. 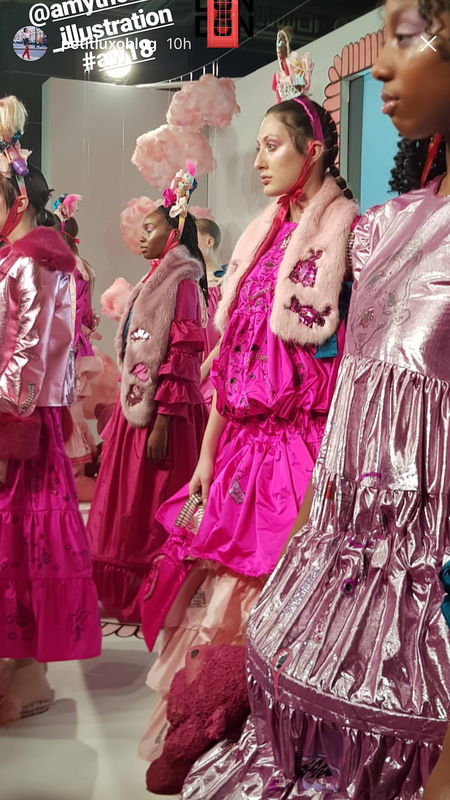 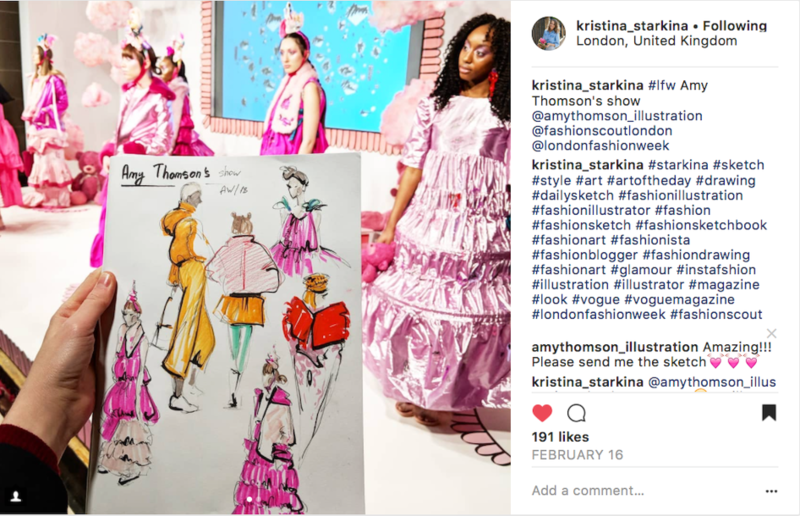 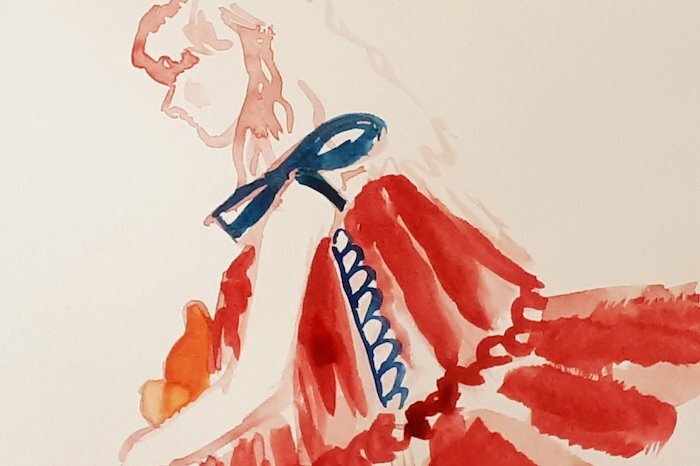 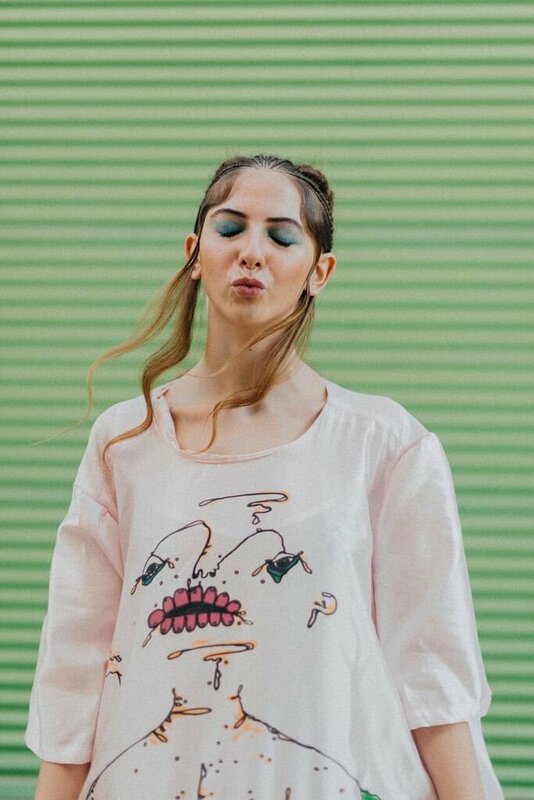 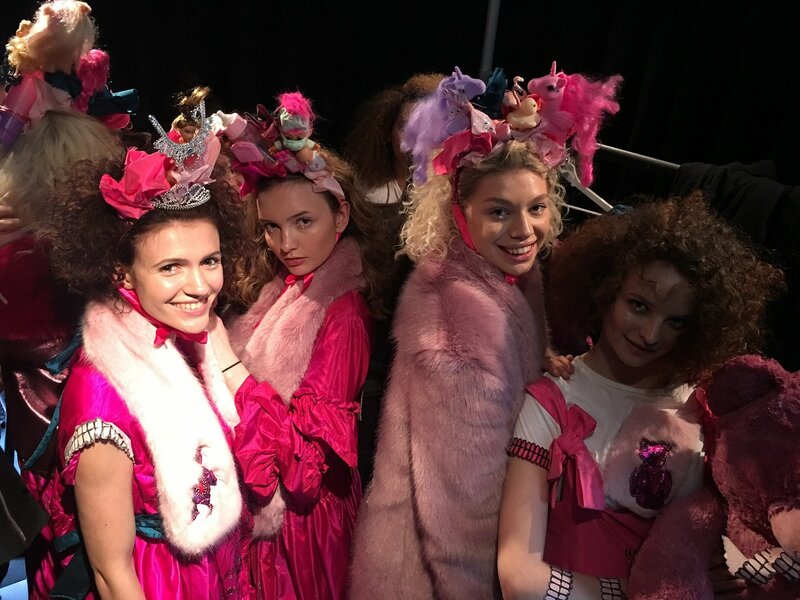 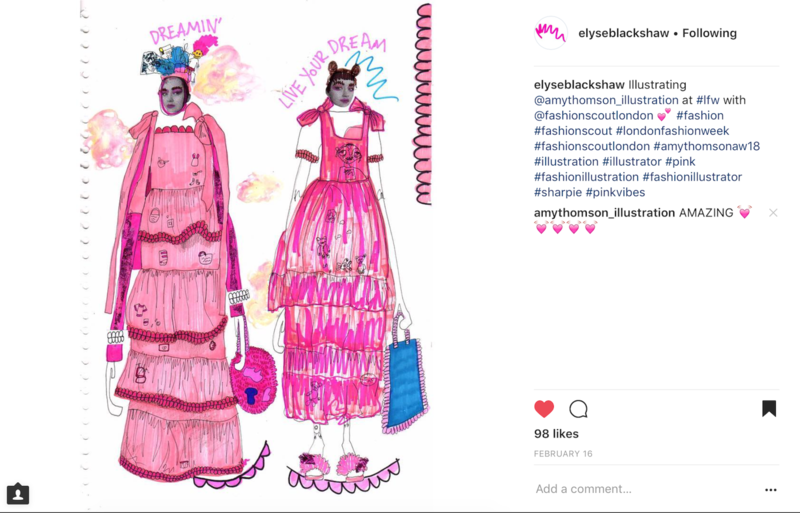 Blogger, writer, photographer Susanne Spigoski London Fashion Week presentation images and write up of the show online and on social media. 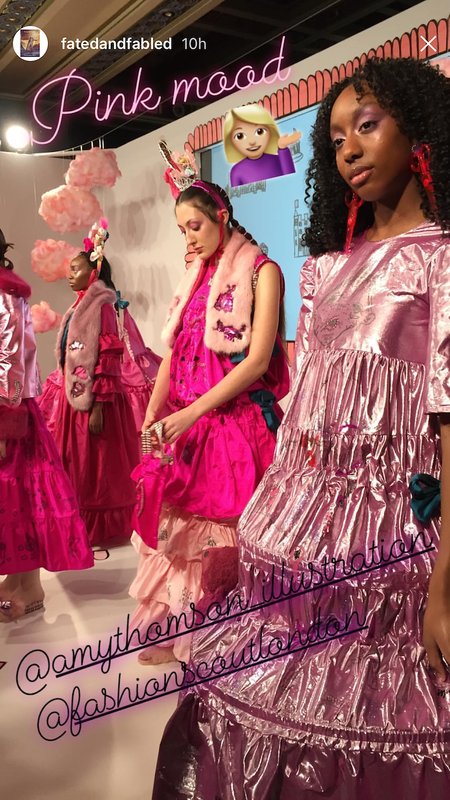 London Fashion Week presentation images online. 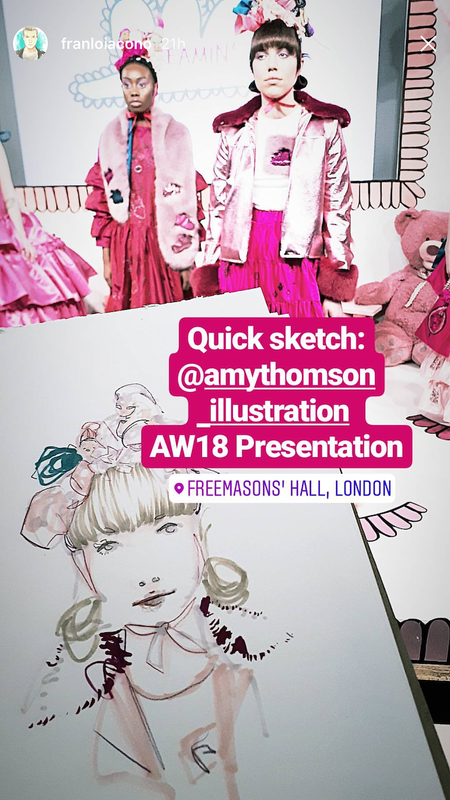 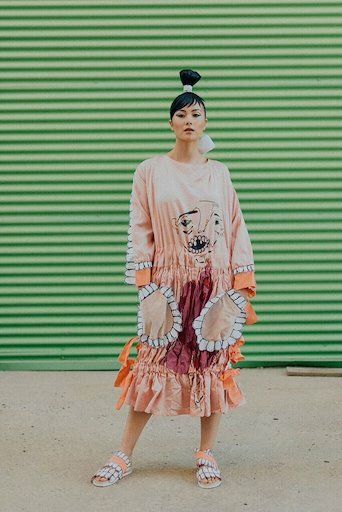 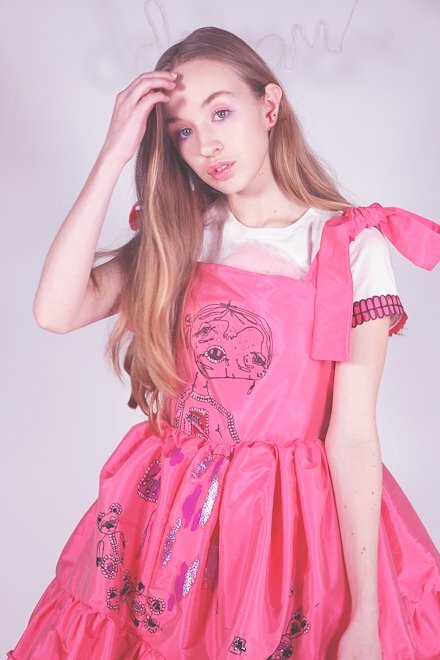 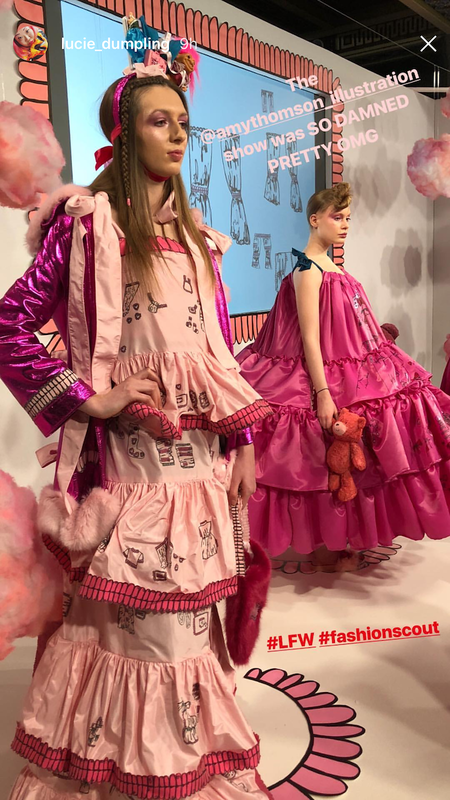 London Fashion Week presentation images posted on social media and online including write up from event.